Why Does the Bonfils-Stanton Foundation Directs All its Grant Funding to the Arts? Back in 2011–12 the Bonfils-Stanton Foundation went through a process of evaluating its grantmaking, in the context of the local environment — both the community needs, and how philanthropic resources were being deployed. Up until this point the Foundation had a relatively broad scope in its giving, encompassing science and medicine, human services, education and the arts. So we have now, through this shift, become the leading Foundation supporter of the arts in Denver, in terms of number of organizations supported (roughly 50/year), and for many of the groups we support we are now their largest source of institutional support (with the exception of the Scientific and Cultural Facilities District funding). By default we have also become a spokesperson and opinion leader on the value of the arts in our community. We have realized that in making this shift — and enhancing our communications capacity through our website, social media, e-newsletter, etc. — we have not yet answered a crucial question: Why Arts? Why do we believe the arts are so important? In the face of all our societal needs, why do we think people need the arts in their lives? In embarking on answering these questions for you we have thought deeply about these issues, have researched local and national data and examples, and have attempted to construct a new are of our website we are calling, simply, “Why Arts.” It is not encyclopedic or comprehensive — there are reasons that in the interest of brevity, we have chosen not to include. And we do not mean to diminish the truly powerful, human, spiritual power of the arts to enlighten, inspire and inform. This is at the core of why we do what we do, and it is precisely this power that fuels the effectiveness of the arts in achieving more “instrumental” outcomes of economic impact or neighborhood vibrancy. So please visit this new area of our website and let us know what you think. What do the arts mean to you? 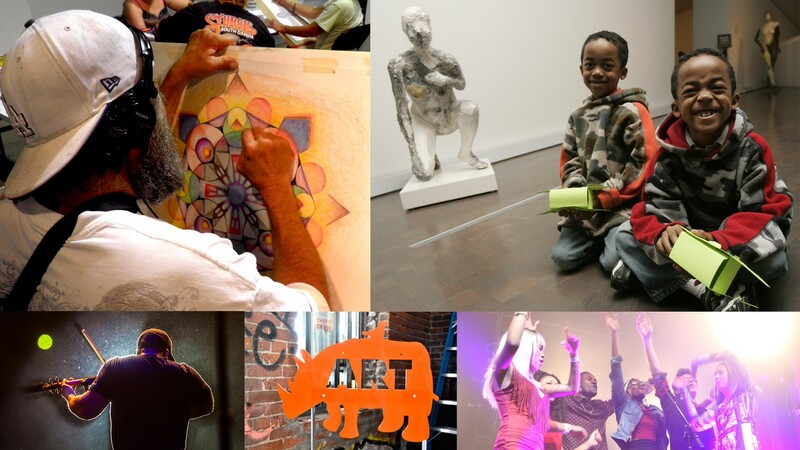 How can you better participate in, value and support the arts in your community? Gary is the President and CEO of the Bonfils-Stanton Foundation in Denver, Colorado, and writes about arts and culture, philanthropy and leadership issues.